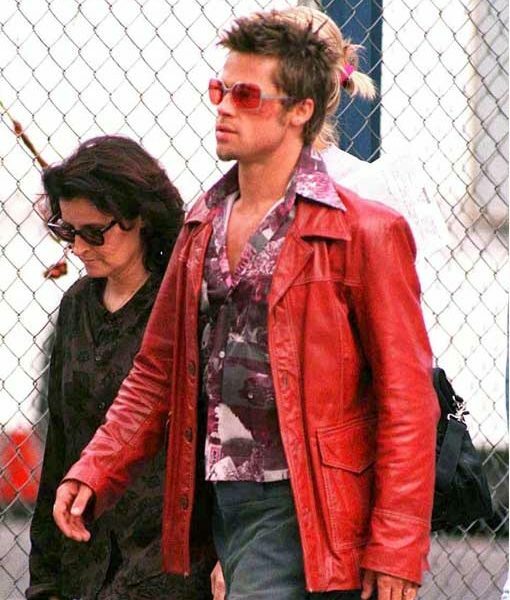 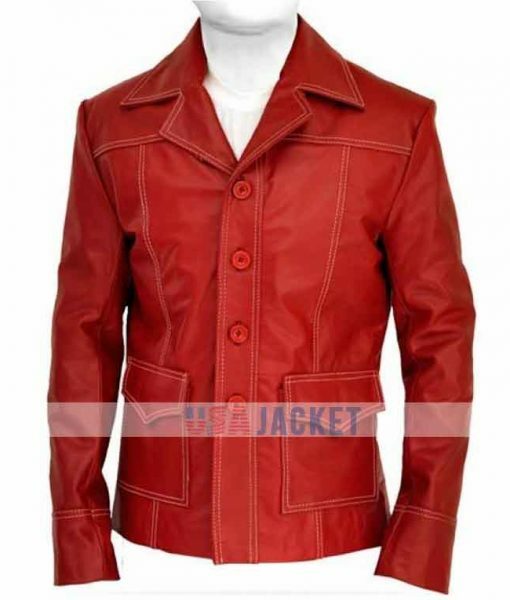 Here is the stunning red coat of Brad Pitt that he wore in Fight Club movie. 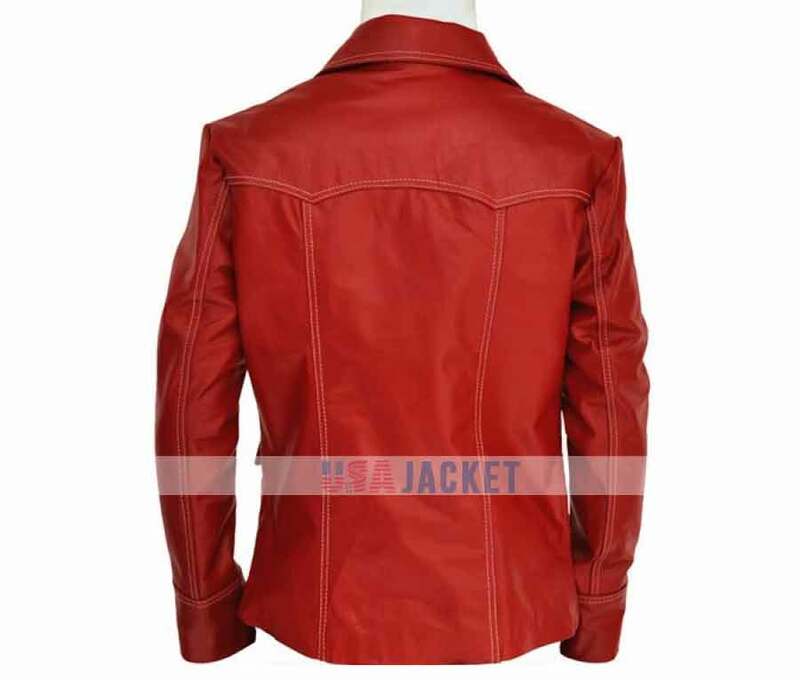 This Fight Club Coat is best to wear with your casual outfits and with semi-casual style as well. 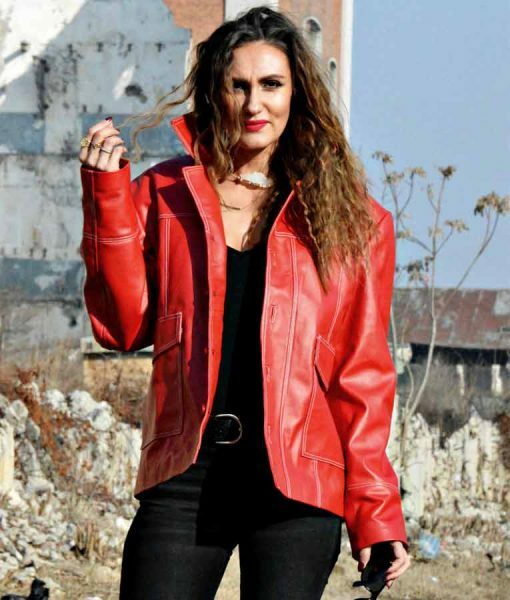 The exterior of the jacket is made of real leather while inside viscose lining is used to absorb moisture and keep you fresh always. 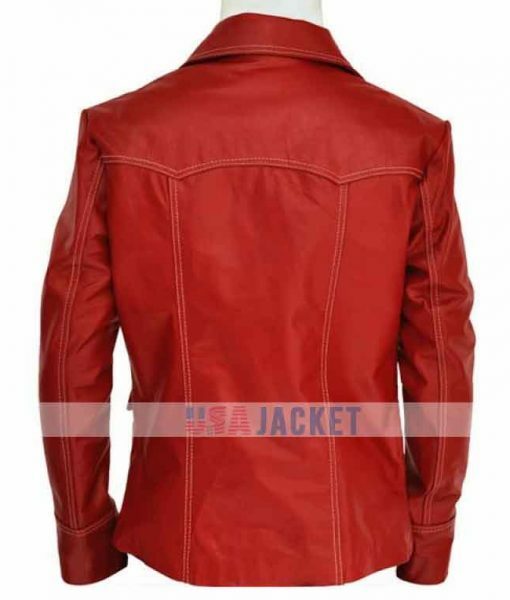 Front closure has four buttons and two big flap pockets are given on the waist of the jacket. 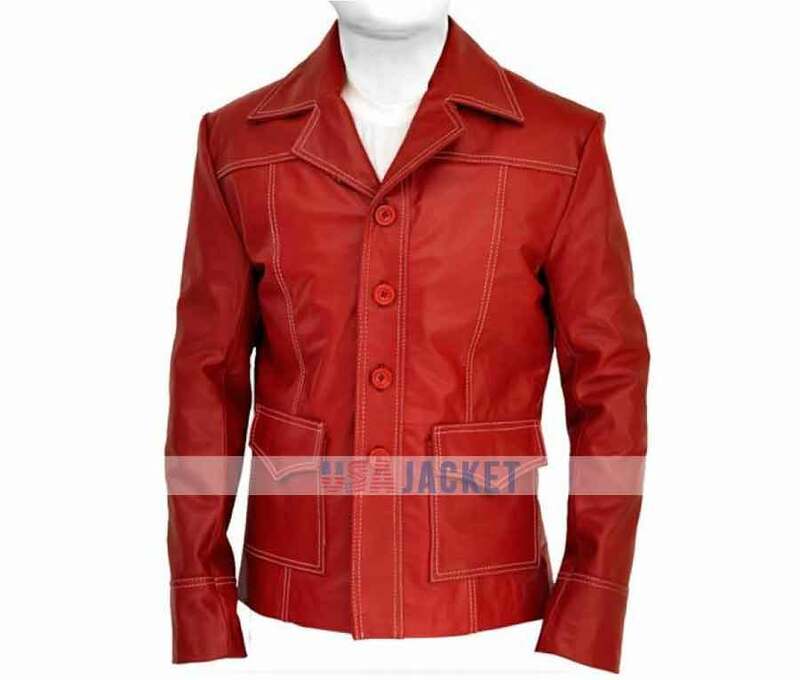 The cuffs are style in open hem. 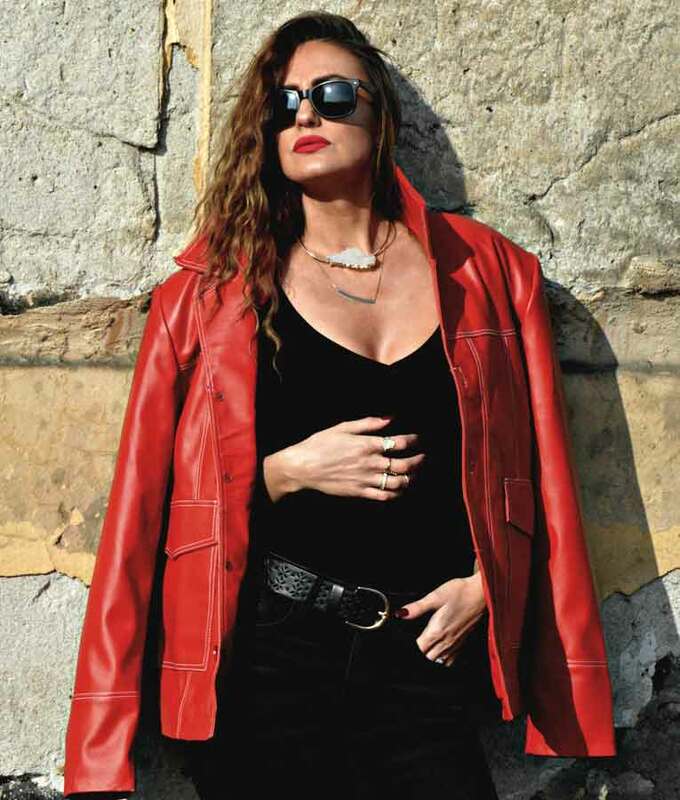 Grab your Fight Club Leather Coat today from USA Jacket.